What is a Mexican American? Are they loyal to the US or Mexico? Do they feel more Mexican or American? Whatever your question is, Our guide to Mexican American culture gives you the facts & information you want to know. Mexico is a Latin American country. It has a complex culture reflecting the various phases in the history of Mexico. The Mexicans are proud of their country, culture and lifestyle and try to preserve it as much as possible even when they are living anywhere other than Mexico. The Mexican Americans however don’t have to make much effort as the neighboring countries have quite a lot in common. So, the Mexican American culture is a blend of the culture of both countries, while distinctly being Mexican. This cultural blend stands out amongst many other ethnic groups living in the USA. 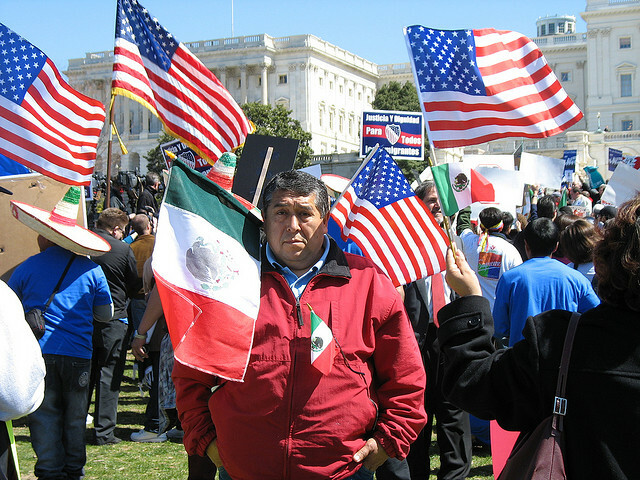 The Mexican American culture shows many influences of other nations. Particularly the Spanish influences are quite strong. The American culture has also crept in them to some extent, so have the religious influences. Mexican Americans exhibit strong family ties. They love and take care of their family and love to socialize among their vast extended family. They like to live around each other and go through much trouble finding houses nearby. They are hard working people and are not hard to please. Religion plays an important part in the lives of Mexican Americans. Most of them follow Roman Catholicism and are ardent believers. Most of their festivals revolve around their religion. A large number also follows other religions like Evangelical, The Church of Jesus Christ of Latter-day Saints and Jehovah’s Witnesses. Mexican Americans are fun loving and music is an essential part of their existence. Corridos and Mariachis and many other kinds of singing have evolved over the past many hundred years. Living in America doesn’t mean for them to forget their songs and festivities. Their various dances including Jarabe Tapatío (commonly known as Tap Dance) and Salsa have gained much popularity all around the world and the Mexican Americans are keeping it alive in America as well. The large number of festivals Mexican Americans have shows just how much fun loving and entertainment seeking people they are. Living outside Mexico does limit their festivities and celebrations, but their spirits are not dampened. Their festivals are colorful, have loud music with lots of dancing and also have extended family get-togethers. Mexican food cannot be called only food. It is more of a style, a statement. It is well known for its various intense flavors, beautiful colors, decorations, and a variety of spices and herbs. The Mexican American culture has its influences on the cuisine as well. Mexican cuisine blends in well with the Texan cuisine and has given birth to a new term of “Tex-Mex” (Texan- Mexican) cuisine. Also the south west of USA, particularly the Californian cuisine merger with the Mexican cuisine is now known as Cal-Mex cuisine. These cuisines are well loved by the Mexicans and Americans alike.